Myrna Dell (March 5, 1924 – February 11, 2011) was an American actress, model, and writer who appeared in several television programs and motion pictures for over four decades. Born under the name Marilyn Adele Dunlap she changed her name to Myrna Dell upon entering show business as a dancer making her debut in A Night at Earl Carroll’s followed by turns in Ziegfeld Girl (1941), Raiders of the Red Gap (1943), Up in Arms (1943), and Show Business (1944). 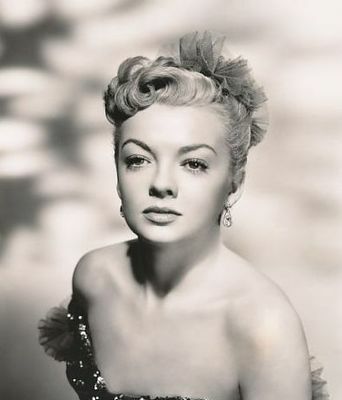 Myrna Dell broke into the film industry appearing in several Western films with Hoot Gibson and Bob Steele and later had a supporting role with Van Johnson in Thirty Seconds Over Tokyo (1944). Following a move to RKO Studios in 1949 she starred opposite Ronald Reagan in The Girl from Jones Beach and later secured a recurring role in The Falcon Brothers film series opposite Tom Conway. 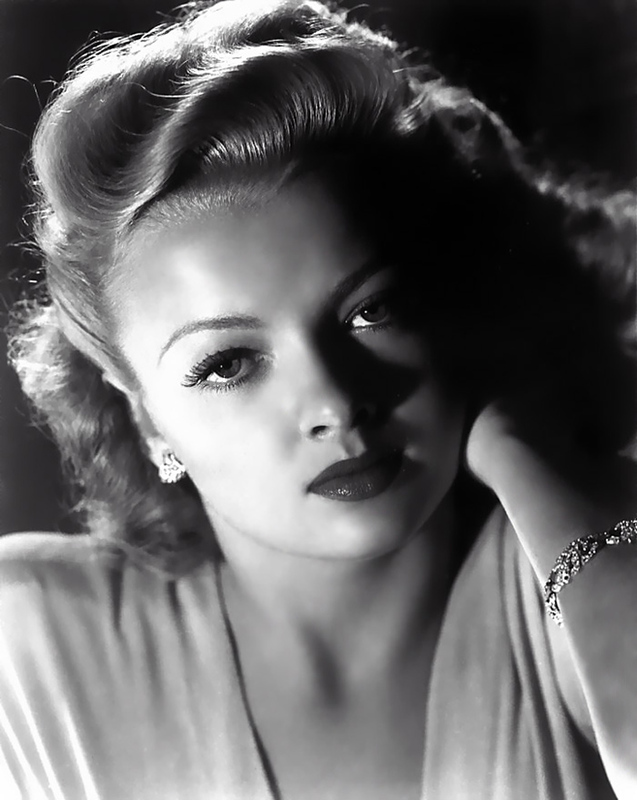 She also had parts in such films as The Spiral Staircase (1945), The Locket (1946), Step by Step (1946), Fighting Father Dunne (1948), Guns of Hate (1948), The Lost Tribe (1949), Destination Murder (1950), and Reunion in Reno (1951). She later became a household name in television appearing on such programs as Gang Busters, Lux Video Theatre, Crusader, Dragnet, The Ethel Barrymore Theatre, Maverick, Pete and Gladys, Batman, Hazel, The Donna Reed Show, and The Texan. Her last film appearance was in Buddy Buddy (1981) as well as an uncredited appearance in an episode of Unsolved Mysteries. She once told a reporter that she loathed the glamour girl image, stating, “After a time….a girl gets bored with the glamour, the atmosphere, the drinking, the cigarettes to smoke, the wolves.” In her later years, she worked as a writer for Hollywood: Then and Now Magazine in which she shared countless stories about her days as an actress and thanking such figures as Jack L. Warner, Louis B. Meyer, and Samuel Goldwyn for their contributions to the film industry. She and actress Jacqueline White are often credited for creating autograph shows. A California native all her life, Myrna Dell continued living in state by spending her final years in Studio City, California answering fan mail and keeping her fans up to date through her personal website. She died from natural causes on February 11, 2011 at her studio apartment one month shy of her 87th birthday. She was survived by one daughter, Laura Patterson who spread her ashes next to the Hollywood Sign.